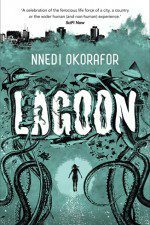 The great Ursula K. Le Guin said of Nnedi Okorafor that ‘There’s more vivid imagination in a page of Nnedi Okorafor’s work than in whole volumes of ordinary fantasy epics’. 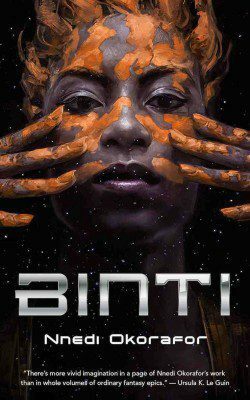 This extract from her Tor.com novella Binti amounts to a few pages. You do the maths. 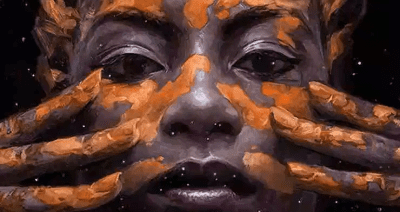 In Okorafor’s new novella we follow the journey of Binti, the first of the Himba people ever to be offered a place at Oomza University, the finest institution of higher learning in the galaxy. But knowledge comes at a cost and to accept the offer will mean giving up her place in her family to travel between the stars among strangers who do not share her ways or respect her customs. 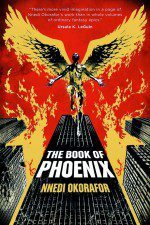 Feast your eyes on Christine Foltzer’s beautiful cover and read an extract below. In my culture, it is blasphemy to pray to inanimate objects, but I did anyway. I prayed to a metal even my father had been unable to identify. I held it to my chest, shut my eyes, and I prayed to it, I am in your protection. Please protect me. I am in your protection. Please protect me. My body was shuddering so hard that I could imagine what it would be like to die from terror. I held my breath, the stench of them still in my nasal cavity and mouth. Heru’s blood was on my face, wet and thick. I prayed to the mystery metal my edan was made of because that had to be the only thing keeping me alive at this moment. Breathing hard from my mouth, I peeked from one eye. I shut it again. The Meduse were hovering less than a foot away. One had launched itself at me but then froze an inch from my flesh; it had reached a tentacle toward my edan and then suddenly collapsed, the tentacle turning ash gray as it quickly dried up like a dead leaf. I could hear the others, their near substantial bodies softly rustling as their transparent domes filled with and released the gas they breathed back in. They were tall as grown men, their domes’ flesh thin as fine silk, their long tentacles spilling down to the floor like a series of gigantic ghostly noodles. I grasped my edan closer to me. I am in your protection. Please protect me. Everyone in the dining hall was dead. At least one hundred people. I had a feeling everyone on the ship was dead. The Meduse had burst into the hall and begun committing moojh-ha ki-bira before anyone knew what was happening. That’s what the Khoush call it. We’d all been taught this Meduse form of killing in history class. The Khoush built the lessons into history, literature, and culture classes across several regions. Even my people were required to learn about it, despite the fact that it wasn’t our fight. The Khoush expected everyone to remember their greatest enemy and injustice. They even worked Meduse anatomy and rudimentary technology into mathematics and science classes. Moojh-ha ki-bira means the “great wave.” The Meduse move like water when at war. There is no water on their planet, but they worship water as a god. Their ancestors came from water long ago. The Khoush were settled on the most water-soaked lands on Earth, a planet made mostly of water, and they saw the Meduse as inferior. The trouble between the Meduse and the Khoush was an old fight and an older disagreement. Somehow, they had agreed to a treaty not to attack each other’s ships. Yet here the Meduse were performing moojh-ha ki-bira. I’d been talking to my friends. Olo, Remi, Kwuga, Nur, Anajama, Rhoden, and Dullaz. We had spent so many late nights laughing over our fears about how difficult and strange Oomza Uni would be. All of us had twisted ideas that were probably wrong . . . maybe partially right. We had so much in common. I wasn’t thinking about home or how I’d had to leave it or the horrible messages my family had sent to my astrolabe hours after I’d left. I was looking ahead toward my future and I was laughing because it was so bright. Then the Meduse came through the dining hall entrance. I was looking right at Heru when the red circle appeared in the upper left side of his shirt. The thing that tore through was like a sword, but thin as paper . . . and flexible and easily stained by blood. The tip wiggled and grasped like a finger. I saw it pinch and hook to the flesh near his collarbone. I don’t remember what I did or said. My eyes were open, taking it all in, but the rest of my brain was screaming. For no reason at all, I focused on the number five. Over and over, I thought, 5-5-5-5-5-5-5-5-5, as Heru’s eyes went from shocked to blank. His open mouth let out a gagging sound, then a spurt of thick red blood, then blood frothed with saliva as he began to fall forward. His head hit the table with a flat thud. His neck was turned and I could see that his eyes were open. His left hand flexed spasmodically, until it stopped. But his eyes were still open. He wasn’t blinking. Heru was dead. Olo, Remi, Kwuga, Nur, Anajama, Rhoden, and Dullaz were dead. Everyone was dead. The dinner hall stank of blood. None of my family had wanted me to go to Oomza Uni. Even my best friend Dele hadn’t wanted me to go. Still, not long after I received the news of my university acceptance and my whole family was saying no, Dele had joked that if I went, I at least wouldn’t have to worry about the Meduse, because I would be the only Himba on the ship. “So even if they kill everyone else, they won’t even see you!” he’d said. Then he’d laughed and laughed, sure that I wasn’t going anyway. Now his words came back to me. Dele. I’d pushed thoughts of him deep into my mind and read none of his messages. Ignoring the people I loved was the only way I could keep going. When I’d received the scholarship to study at Oomza Uni, I’d gone into the desert and cried for hours. With joy. I’d wanted this since I knew what a university was. Oomza Uni was the top of the top, its population was only 5 percent human. Imagine what it meant to go there as one of that 5 percent; to be with others obsessed with knowledge, creation, and discovery. Then I went home and told my family and wept with shock. I was the first Himba in history to be bestowed with the honor of acceptance into Oomza Uni. The hate messages, threats to my life, laughter and ridicule that came from the Khoush in my city, made me want to hide more. But deep down inside me, I wanted . . . I needed it. I couldn’t help but act on it. The urge was so strong that it was mathematical. When I’d sit in the desert, alone, listening to the wind, I would see and feel the numbers the way I did when I was deep in my work in my father’s shop. And those numbers added up to the sum of my destiny. I clutched my edan to my chest now as I opened my eyes. The Meduse in front of me was blue and translucent, except for one of its tentacles, which was tinted pink like the waters of the salty lake beside my village and curled up like the branch of a confined tree. I held up my edan and the Meduse jerked back, pluming out its gas and loudly inhaling. Fear, I thought. That was fear. I stood up, realizing that my time of death was not here yet. I took a quick look around the giant hall. I could smell dinner over the stink of blood and Meduse gases. Roasted and marinated meats, brown long-grained rice, spicy red stews, flat breads, and that rich gelatinous dessert I loved so much. They were all still laid out on the grand table, the hot foods cooling as the bodies cooled and the dessert melting as the dead Meduse melted. I motioned to the shriveled dead one two feet away; its mushy flesh had dried and begun to turn brown and opaque. It had tried to take me and then something made it die. Bits of it had crumbled to dust as I spoke, the mere vibration of my voice enough to destabilize the remains. I grabbed my satchel as I slid away from the table and moved toward the grand table of food. My mind was moving fast now. I was seeing numbers and then blurs. Good. I was my father’s daughter. He’d taught me in the tradition of my ancestors and I was the best in the family. 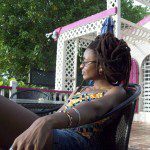 “I am Binti Ekeopara Zuzu Dambu Kaipka of Namib,” I whispered. This is what my father always reminded me when he saw my face go blank and I started to tree. He would then loudly speak his lessons to me about astrolabes, including how they worked, the art of them, the true negotiation of them, the lineage. While I was in this state, my father passed me three hundred years of oral knowledge about circuits, wire, metals, oils, heat, electricity, math current, sand bar. And so I had become a master harmonizer by the age of twelve. I could communicate with spirit flow and convince them to become one current. I was born with my mother’s gift of mathematical sight. My mother only used it to protect the family, and now I was going to grow that skill at the best university in the galaxy . . . if I survived. “Binti Ekeopara Zuzu Dambu Kaipka of Namib, that is my name,” I said again. My mind cleared as the equations flew through it, opening it wider, growing progressively more complex and satisfying. V—E + F = 2, a^2 + b^2 = c^2, I thought. I knew what to do now. I moved to the table of food and grabbed a tray. I heaped chicken wings, a turkey leg, and three steaks of beef onto it. Then several rolls; bread would stay fresh longer. I dumped three oranges on my tray, because they carried juice and vitamin C. I grabbed two whole bladders of water and shoved them into my satchel as well. Then I slid a slice of white milky dessert on my tray. I did not know its name, but it was easily the most wonderful thing I’d ever tasted. Each bite would fuel my mental well-being. And if I were going to survive, I’d need that, especially. I moved quickly, holding up the edan, my back straining with the weight of my loaded satchel as I held the large food-heavy tray with my left hand. The Meduse followed me, their tentacles caressing the floor as they floated. They had no eyes, but from what I knew of the Meduse, they had scent receptors on the tips of their tentacles. They saw me through smell. The hallway leading to the rooms was wide and all the doors were plated with sheets of gold metal. My father would have spat at this wastefulness. Gold was an information conductor and its mathematical signals were stronger than anything. Yet here it was wasted on gaudy extravagance. 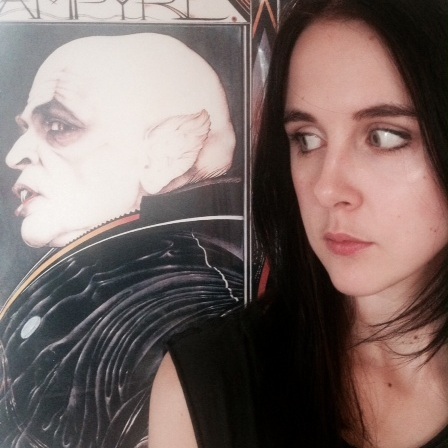 When I arrived at my room, the trance lifted from me without warning and I suddenly had no idea what to do next. I stopped treeing and the clarity of mind retreated like a loss of confidence. All I could think to do was let the door scan my eye. It opened, I slipped in and it shut behind me with a sucking sound, sealing the room, a mechanism probably triggered by the ship’s emergency programming. I managed to put the tray and satchel on my bed just before my legs gave. Then I sunk to the cool floor beside the black landing chair on the fair side of the room. My face was sweaty and I rested my cheek on the floor for a moment and sighed. Images of my friends Olo, Remi, Kwuga, Nur, Anajama, Rhoden crowded my mind. I thought I heard Heru’s soft laughter above me . . . then the sound of his chest bursting open, then the heat of his blood on my face. I whimpered, biting my lip. “I’m here, I’m here, I’m here,” I whispered. Because I was and there was no way out. I shut my eyes tightly as the tears came. I curled my body and stayed like that for several minutes. I brought my astrolabe to my face. I’d made the casing with golden sand bar that I’d molded, sculpted, and polished myself. It was the size of a child’s hand and far better than any astrolabe one could buy from the finest seller. I’d taken care to fashion its weight to suit my hands, the dials to respond to only my fingers, and its currents were so true that they’d probably outlast my own future children. I’d made this astrolabe two months ago specifically for my journey, replacing the one my father had made for me when I was three years old. I started to speak my family name to my astrolabe, but then I whispered, “No,” and rested it on my belly. My family was planets away by now; what more could they do than weep? I rubbed the on button and spoke, “Emergency.” The astrolabe warmed in my hands and emitted the calming scent of roses as it vibrated. Then it went cool. “Emergency,” I said again. This time it didn’t even warm up. “Map,” I said. I held my breath, waiting. I glanced at the door. I’d read that Meduse could not move through walls, but even I knew that just because information was in a book didn’t make it true. Especially when the information concerned the Meduse. My door was secure, but I was Himba and I doubted the Khoush had given me one of the rooms with full security locks. The Meduse would come in when they wanted or when they were willing to risk death to do away with me. I may not have been Khoush . . . but I was a human on a Khoush ship. My astrolabe suddenly warmed and vibrated. “Your location is 121 hours from your destination of Oomza Uni,” it said in its whispery voice. So the Meduse felt it okay for me to know where the ship was. The virtual constellation lit up my room with white, light blue, red, yellow, and orange dots, slowly rotating globes from the size of a large fly to the size of my fist . Suns, planets, bloom territories all sectioned in the mathematical net that I’d always found easy to read. The ship had long since left my solar system. We’d slowed down right in the middle of what was known as “the Jungle.” The pilots of the ship should have been more vigilant. “And maybe less arrogant,” I said, feeling ill. The ship was still heading for Oomza Uni, though, and that was mildly encouraging. I shut my eyes and prayed to the Seven. I wanted to ask, “Why did you let this happen?” but that was blasphemy. You never ask why. It was not a question for you to ask. 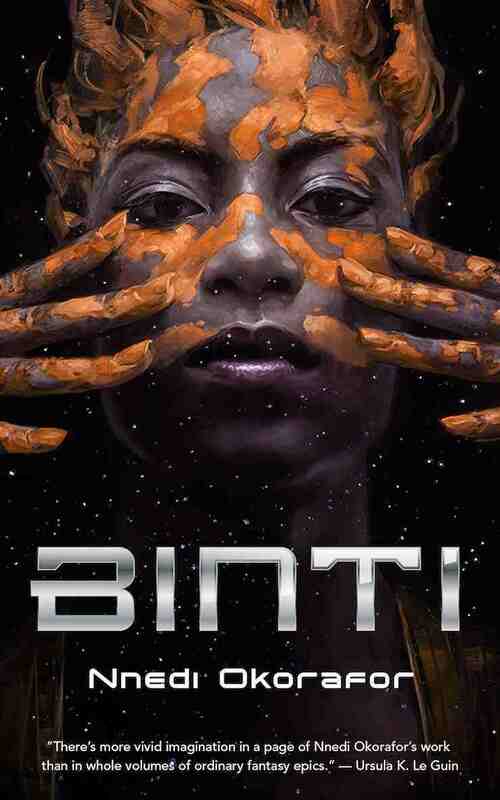 Binti is out now and you can get your copy here.